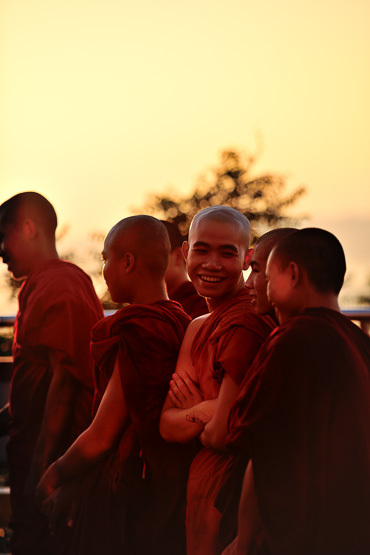 Until very recently a no-go destination for many travellers, Burma aka Myanmar has now become an absolute favourite. With endearing nicknames such as the ‘golden land’ or ‘land of the smile’, everybody wants to go now. Who wouldn’t want to visit a country where until very recently time literally and figuratively stood still, cut off from the rest of the world? According to Misuu Borit, the owner of the Inle Princess Resort on the shores of the dreamy Inle Lake, her country might not be ready for the influx of tourists anticipated in coming years. “ It’s a double-edged sword. 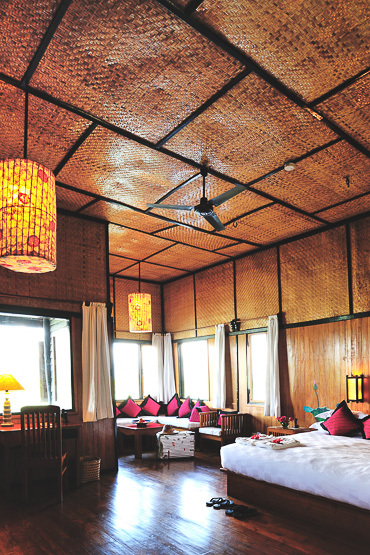 Before 2009, the occupancy rate of the Inle Princess Resort was barely 30%. 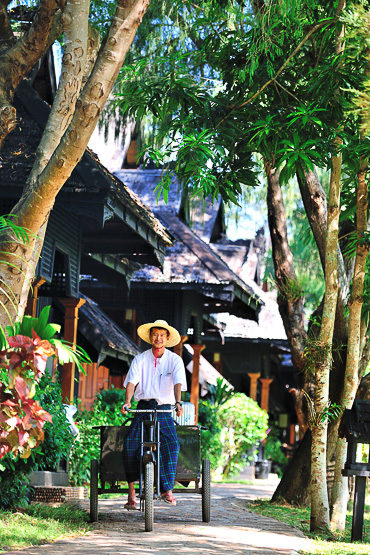 Nowadays, 70% of the time I have to inform clients and travel agents that the hotel is fully booked.” Which is logical, because the Inle Princess Resort is one of the most beautiful in Burma. Mick Jagger stayed here shortly before our visit and Cliff Richard was sleeping next to us in his suite overlooking Inle Lake. 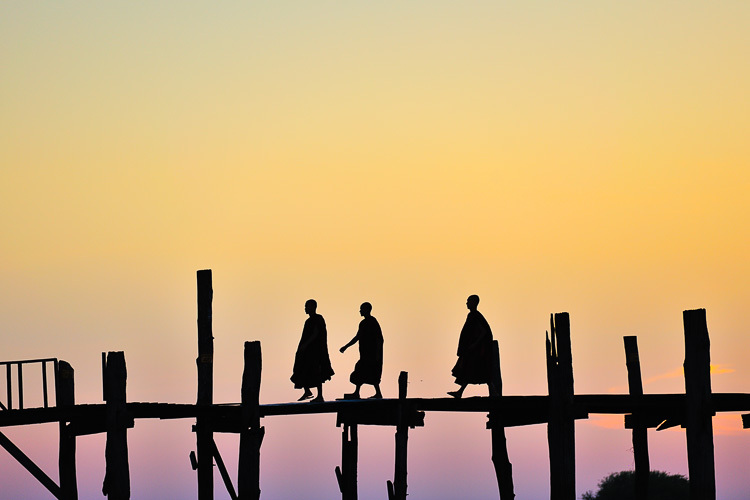 Talking about rock stars, Jethro Tull might be quite jealous or get very inspired by the one legged rowers of Inle Lake, Burma’s second largest lake, in the Nyaung Shwe region. These one legged rowers, who are actually fishermen and wear distinctive wraparound trousers, balance stylishly on the edge of a simple wooden boat while they lift huge triangular shaped fishing nets from the lake. When not using a one-cylinder motor, they use a somewhat strange technique to paddle with one leg, leaving both hands free to pull in the nets. 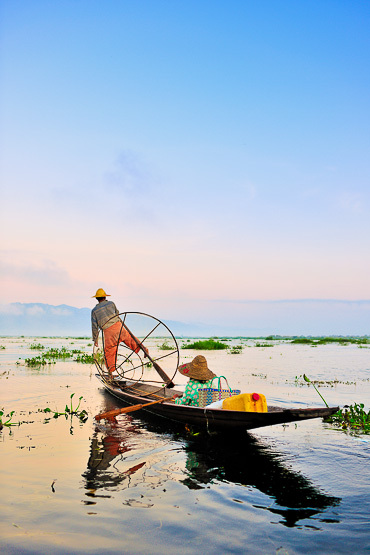 The sparkling, unruffled surface of Inle Lake is dotted with fields of lotus flowers, rice and ingenious floating vegetable gardens where tomatoes and other crops grow. Renting a boat for the day to calmly navigate between the water villages and temples on bamboo stilts is an absolute must. 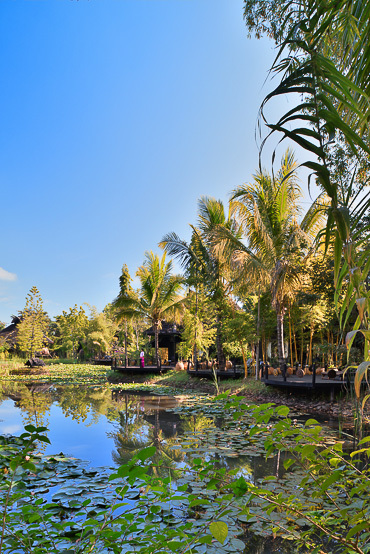 Sometimes it feels like an Asian Venice, but minus the hoards of tourists, unless you want to visit a lotus weaving shop or a monastery with world-famous leaping cats. Then you realize you’re not the only tourist on Inle Lake. Something less small-scale is happening in Bagan, a sea of green dotted here and there with earth-red or golden stupas and temples. 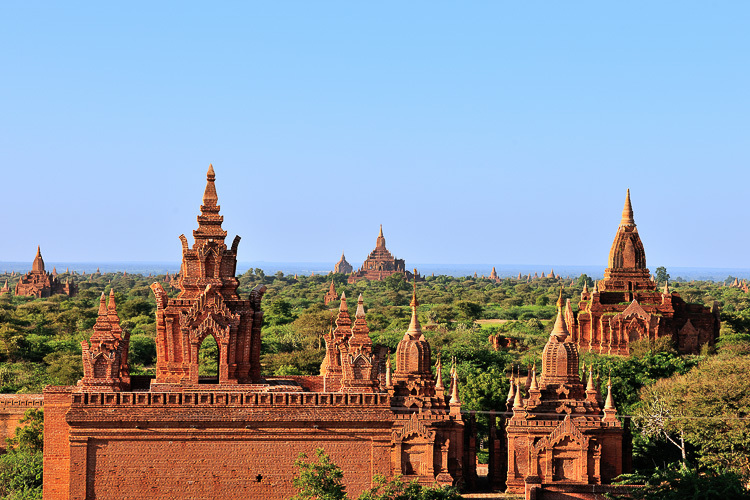 Despite it’s popularity, Bagan should be on every itinerary. 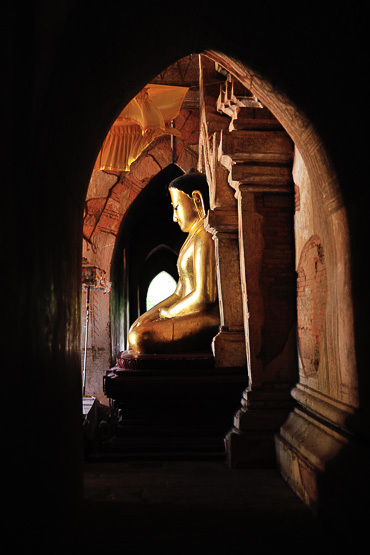 More than 4,000 archaeological monuments surround this former capital city, built between the 11th and 13th centuries, and where Buddhism was first introduced from the south of Burma and India. In 1988, in an attempt to stimulate tourism, more than 5,000 inhabitants where forcibly evicted from the Bagan Archaeological Zone. Today, each visitor has to pay the government a fee to enter this demarcated area. Once inside, you find only temples, stalls and the occasional hotel. 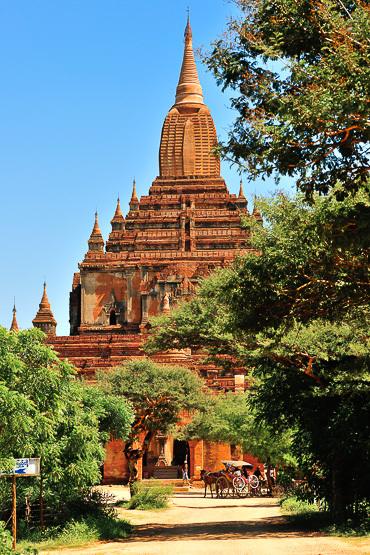 Try to discover Bagan with a bicycle, horse-drawn cart, by foot or by hot air balloon, the latter being an absolute must. 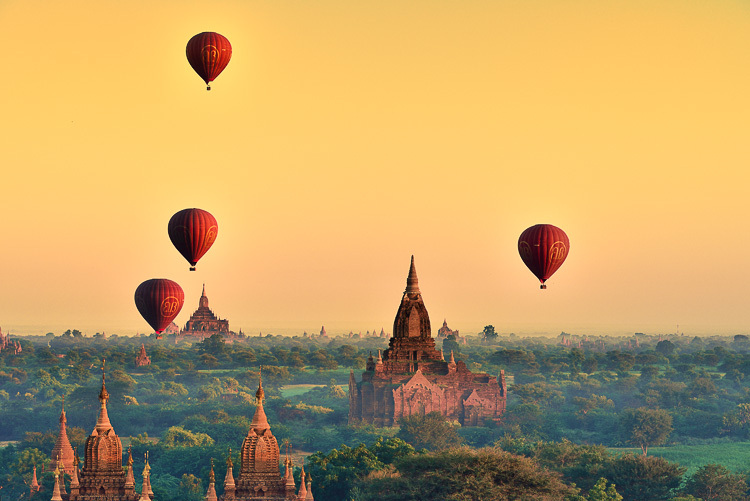 Balloons over Bagan is extremely professional and the experience is impressive. Bagan also has a milder, less humid climate so it’s a great place to spend a few days, relaxing beside the pool of one of the many beautiful hotels after a day of temple visits. 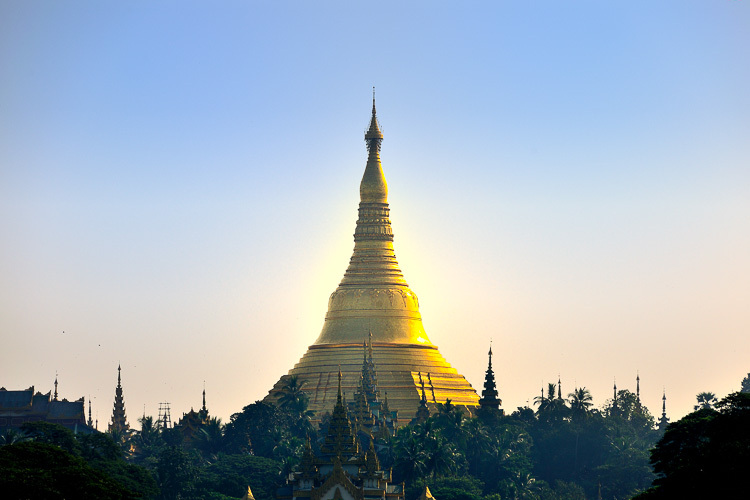 Then you get less temple-tired, because there are plenty to see, from the 13th century Tayok Pye to the 11th century Manuha temple and the famous Shwesandaw Pagoda where most tourists go to watch sunset. To be avoided if you are not a fan of mass gatherings. 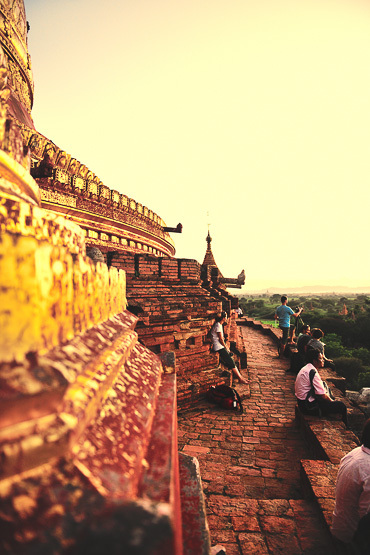 If you’re lucky enough to have a good guide like our Mister Myint Zaw, then he’ll take you to an equally beautiful temple where you can watch sunset over magical Bagan, entirely alone. The least known place in Burma is without doubt the Mergui Islands, an archipelago of more than 800 small islands most of which are uninhabited. Imagine Phuket or any other tropical beach destination in Asia but with hardly any tourists. 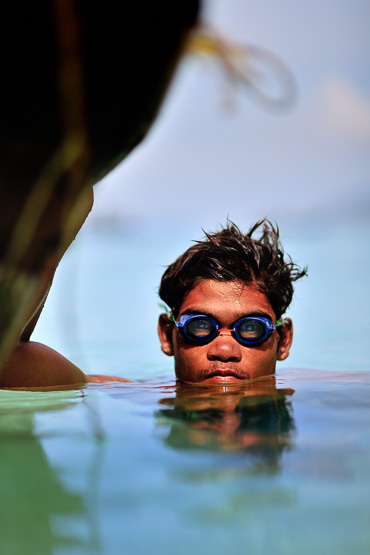 The only visitors who find their way here are divers, who live aboard and dive from boats. The most remarkable thing about these islands, apart from the untouched white sandy beaches and the blue Andaman Sea, are the Moken. 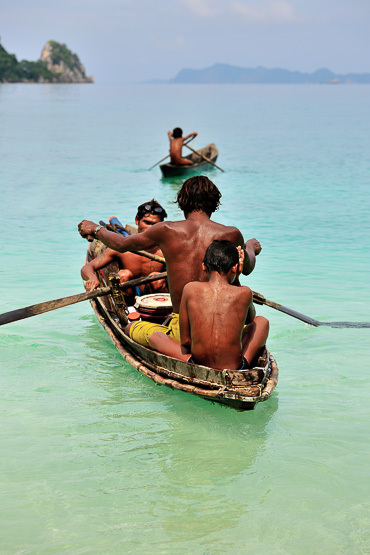 This small ethnic group are sea nomads who live on traditional wooden boats and constantly roam the seas. They currently number around 2,000, but their population is rapidly declining. 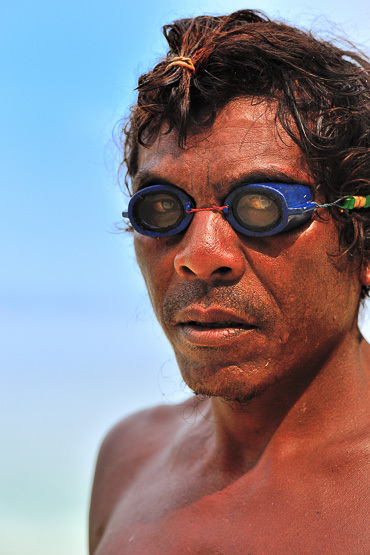 Having lived for many generations on the sea, the Moken have developed the capacity to effortlessly dive to depths of 20 metres without any air canisters, often wearing homemade diving goggles and nothing else. There is just one hotel on the Mergui Islands, but the Chinese are looming and with them, plans to build huge luxury resorts within a few years from now. 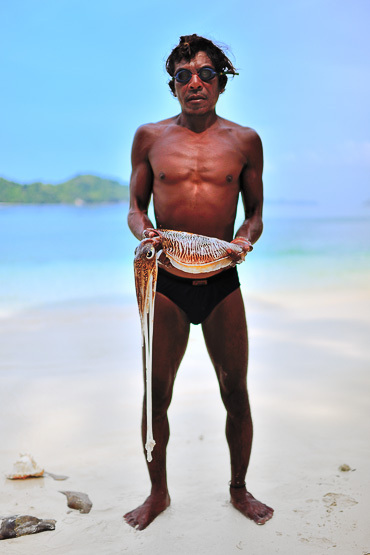 So, if you want to experience the Mergui and the Moken in all their authenticity, you’d better hurry. The only way to do this is to stay at the Andaman Beach Resort: a jewel of a place, located along a pristine white sandy beach. Kayak in mangroves, dive alongside unique reefs… There is a great manager, friendly staff and the food isn’t too bad. The only snag is that the hotel is in dire need of renovation. The chalets sometimes have unwelcome creepy-crawly visitors and the level of comfort is basic. If that thought doesn’t keep you awake and if you want to discover one of the most unknown archipelagos in Asia before it’s too late, you’ll be blown away. 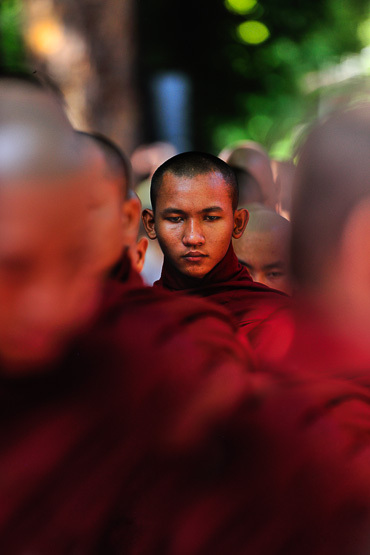 THE VERDICT Burma turned out to be one of our best trips we took in 2012. It is very exceptional to travel to a country that has not really gotten affected by mass tourism. Yet. 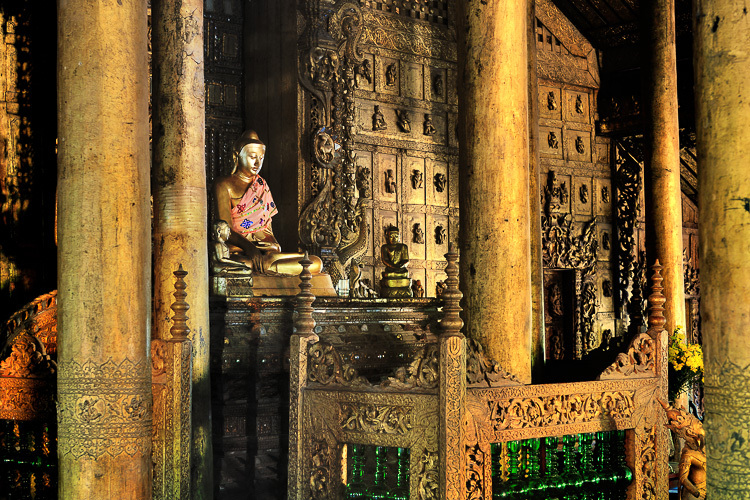 We loved Bagan and Inle Lake, our two favourite places on this voyage. The Mergui Island were unique too, but you have to agree with very basic accommodation and the occasional rat in the room. 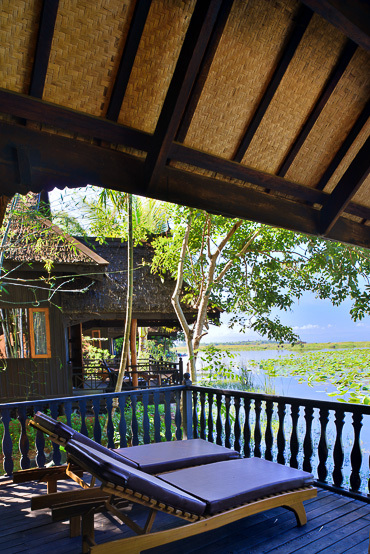 Our favourite place to stay in Burma: Inle Princess Resort. 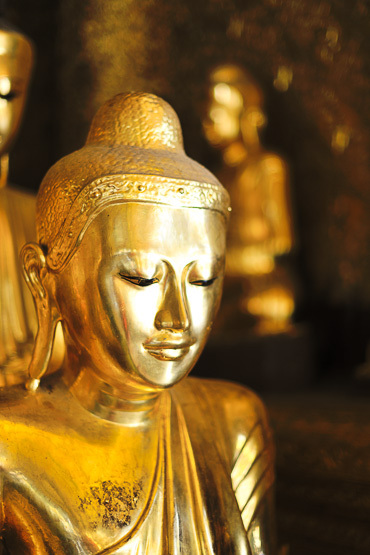 Be aware that for the moment Burma is extremely popular and booming. If you are planning an individual trip, book well in advance or you will end up without a bed to sleep in. HOW TO GO We travelled with ‘t Zuiderhuis in Belgium. 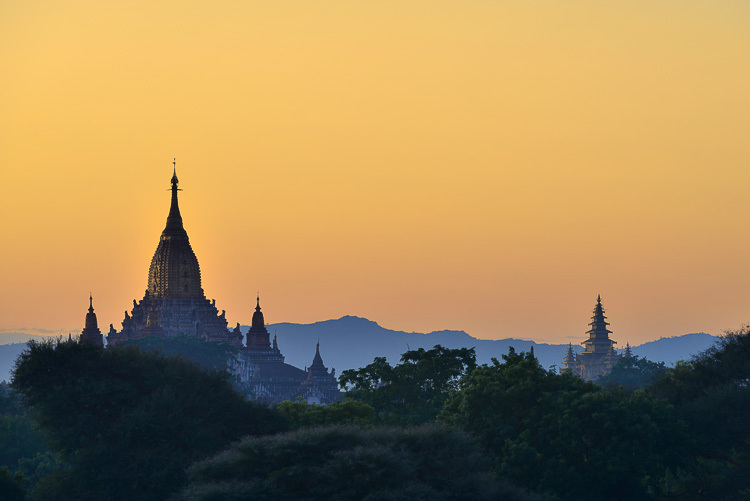 In Burma our operator was a boutique local agency Travels Image (travelsimage at gmail.com), with offices in Yangon. If you travel with them, you can be sure that a minimum amount of your money goes to the government. So it’s money well spend. 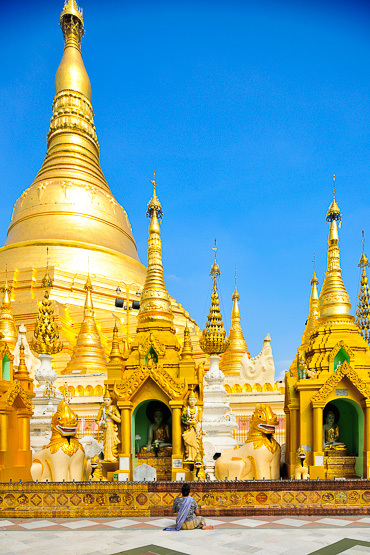 Our trip lasted almost 20 days and was fully supervised and guided by our truly excellent private guide, mister Myint Zaw.There are daily flights to Yangon from major hubs such as Bangkok, Kuala Lumpur and even via the Middle East with luxurious airlines such as Qatar Airways. 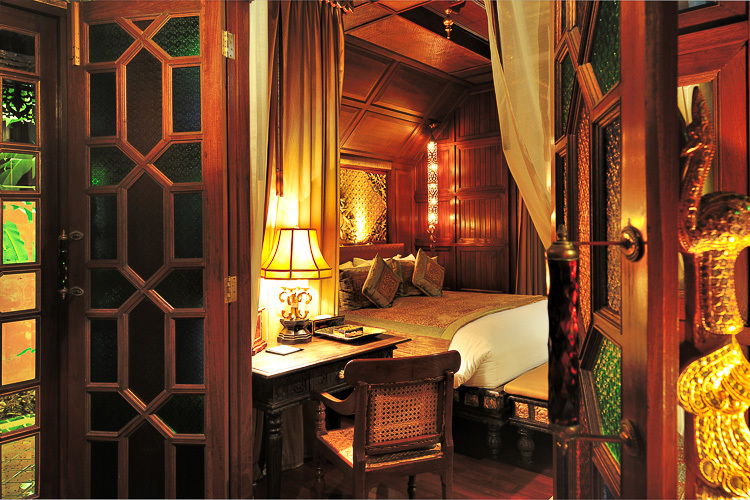 WHERE TO STAY/EAT/FLY We stayed at the colonial The Strand and the functional but luxurious Traders Hotel in Yangon, Inle Princess Resort on Inle Lake and the Mandalay Hill Resort in Mandalay. Hilltop Villa Hotel in Kalaw and we can definitely recommend The hotel at Tharabar Gate right in the middle of Old Bagan. 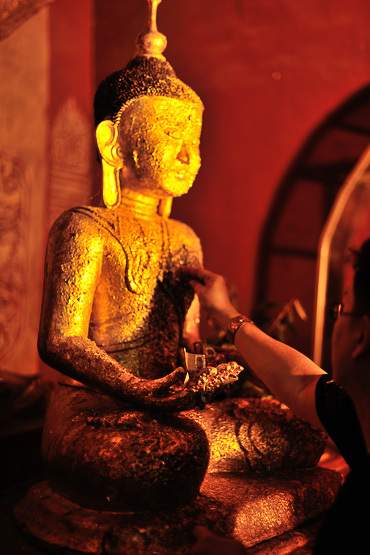 Two restaurants to note down are the Inthar Heritage House in Inle Lake, and Le Planteur Restaurant in Yangon. VISA & MONEY A visa is required to visit Burma and must be requested in advance from the embassy. Paying with credit card is not yet possible in Myanmar and there are no ATMs. It’s best to bring US dollars and exchange them on the spot. 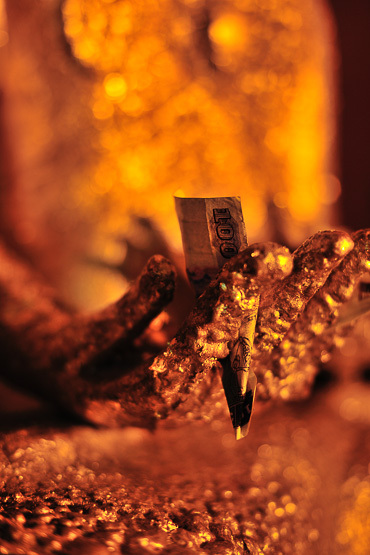 Avoid changing money on the black market or in the street. Upon arrival in Yangon, your guide can take you to a special, official exchange bureau where you can change dollars for the local currency. It’s better to change larger denominations (100 and 200 dollar notes) here. Keep smaller notes for when you’re on the road. Besides local currency, many shops also accept dollars. In the larger hotels in Yangon, such as the Traders Hotel, you can pay with credit card. 1 dollar is worth around 880 Kyat. 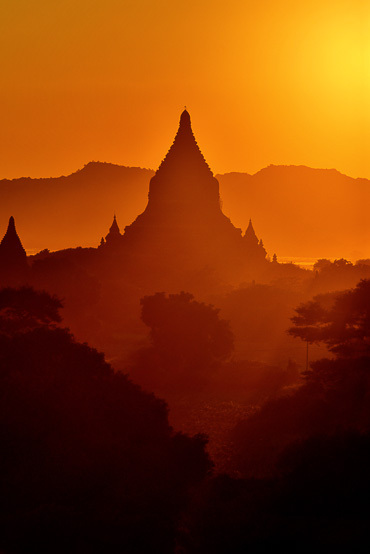 CLIMATE The best time to visit Burma is roughly between the end of October and the end of March. Then the rainy season begins. Expect a warm, tropical climate that rarely drops below 25°C. Only in the higher regions and the former British stations such as Kalaw is it fresher and less humid.